Before USB Type-C replaces every charging cord you have to wrangle, the LMcable promises to play nice with both iOS and Android devices at the same time. Its brilliantly engineered connector supports Lightning ports, and microUSB ports, at the same time, without the need for adapters. 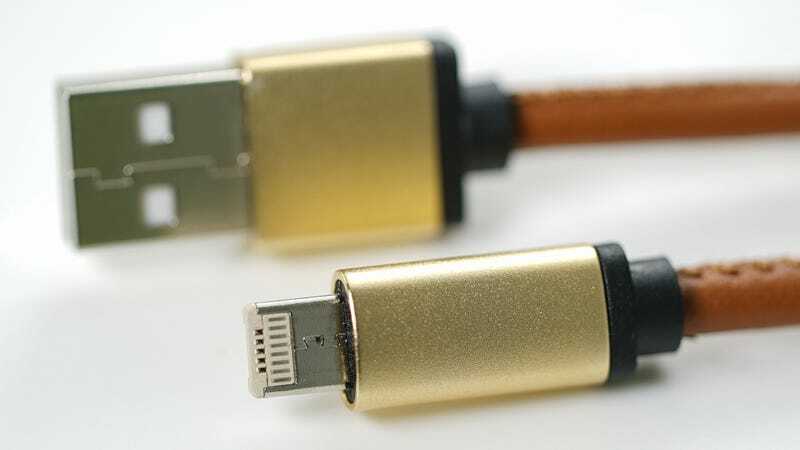 Usually when a charging and sync cable boasts support for both iOS and Android devices, like with Tylt’s Syncable-Duo, it includes an adapter you have to stick on the end to convert it from microUSB to Lightning. If that adapter happens to go missing, though, all you’re left with is an expensive microUSB cable, which is useless for charging iPhones and iPads. The LMcable instead features a 2-in-1 connector that fits in both Apple Lightning and microUSB ports, allowing almost any device to charge or sync data when the other end of the cable, featuring a traditional USB port, is plugged into a computer. It’s as elegant a solution as anyone could ever need, before USB Type-C arrives en masse. The only catch? You can’t buy the LMcable just yet. It’s starting life as a Kickstarter project that’s already blown well past its modest $5,000 funding goal. So the creators have the money they need to put it into production, but the usual risks and pitfalls of a crowdfunding project are still at play here, including unforeseen technological hurdles that have sidelined so many other Kickstarted devices. As a public service we also feel obliged to point out that there is no mention of this cable being MFI-certified. Does that mean it’s guaranteed to burn down your house or damage your phone if used to charge it overnight? Probably not, since it doesn’t look like the creators of the LMcable are out to rip anyone off using cheap components. Although it’s hard not to be overly-cautious given how dangerous some replacement charging cables can be. But a single cable that works in pretty much every device you own that needs charging? That just might be worth the risk. And if you want to pre-order an LMcable for yourself, with delivery expected as early as April, all that’s needed is about a $15 donation to its campaign, and maybe some crossed fingers that everything goes smoothly as it moves into production.